Northern lights, hardy ponies, hot springs, glaciers and active volcanoes all experienced under 24 hour daylight (or 24 hour darkness, depending on the time of year you visit), that’s the Viking country of Iceland for you. There are many outdoor excursions in Iceland you can undertake. 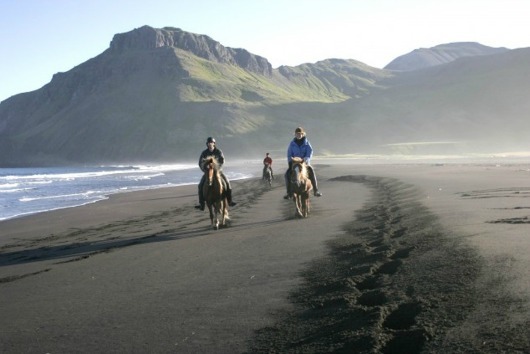 They range from glacier hiking, scuba diving in Þingvallavatn, the largest natural lake in Iceland and located exactly where the U.S. and European continental ridges meet, to horse-riding along the sands of Húsey in the east of the country—past reindeer grazing and seals lazing under the midnight sun. 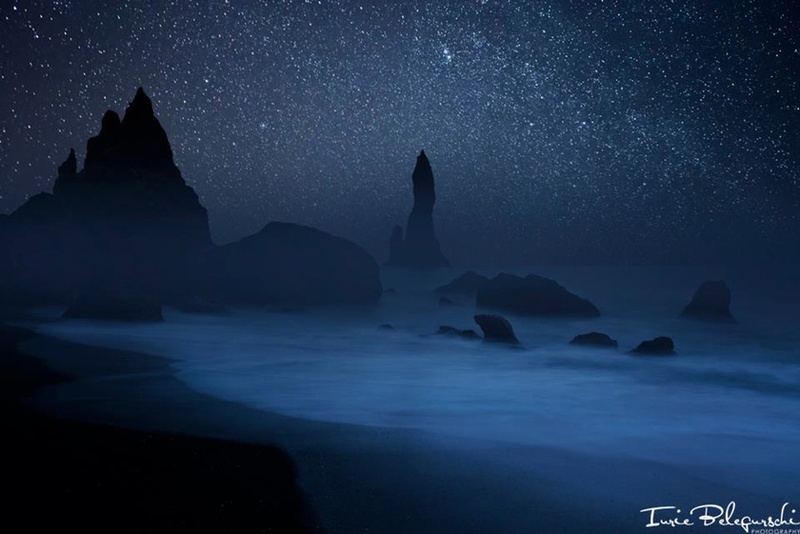 How about visiting the dark sands of Reynisfjara Beach, approx. 180km southeast of the capital—Reykjavik—offering the visitor an atmospheric, almost creepy encounter of titanic rocks looming over you. Legend has it that they’re the petrified remains of trolls who stayed outside too long and the sunlight caught them. And let’s not forget the various bird and whale-watching tours. In fact, I’ll have to make a journey back one day to be sure to experience more excursions in Iceland. Reynisfjara Beach in Iceland with petrified trolls? 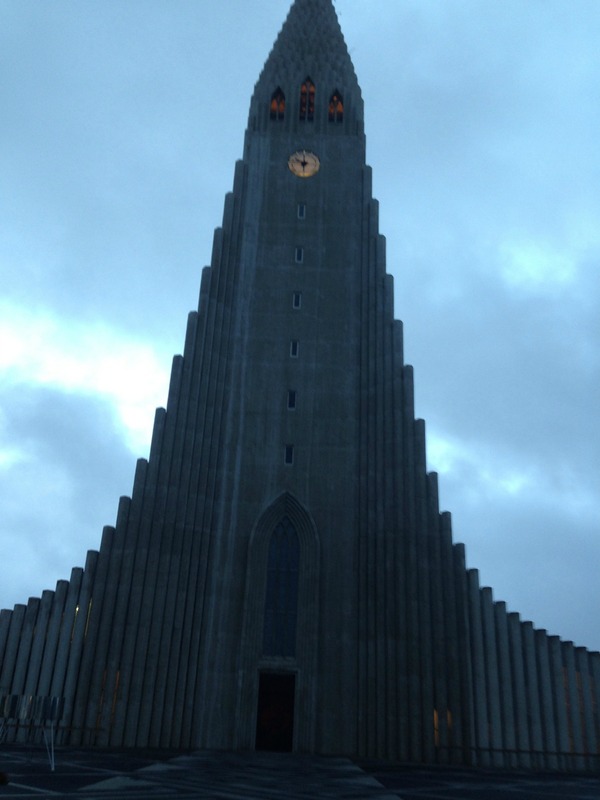 The world’s northernmost capital city offers the visitor various things to do such as the famous landmark that is the Lutheran church of Hallgrimskirkja. Located on top of Skolavorduhaed hill—one of the main shopping thoroughfares, if you choose to climb to the top of the church you’ll be rewarded with a bird’s eye view of the city and beyond. If you’re looking to buy authentic goods, at the weekend flea market—located in the harbour area—you can buy hand knitted woolen jumpers, something of a must should you visit this northernmost European country during the winter months. When I visited this majestic country in 2015 on a short stopover from the U.S., something of a more artistic nature caught my eye; the street art that adorns the walls in Reykjavik. I like to try to find alternative tours when I visit cities around the globe, alas my stop in Iceland was too short that I didn’t have time. 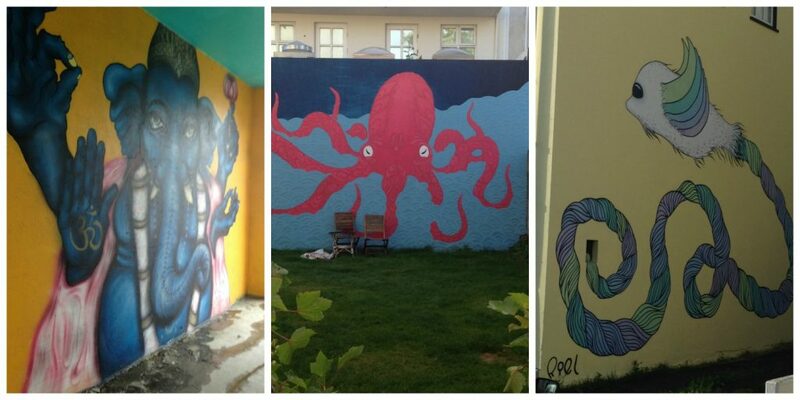 What little time I did have didn’t stop me from wandering the streets to explore and discover my own street art. The lion is a particularly interesting one for me because it came at a time when there was the (rightly so) huge outcry about the hunting and killing of Cecil the Lion. I wondered if this mural had anything to do with it. 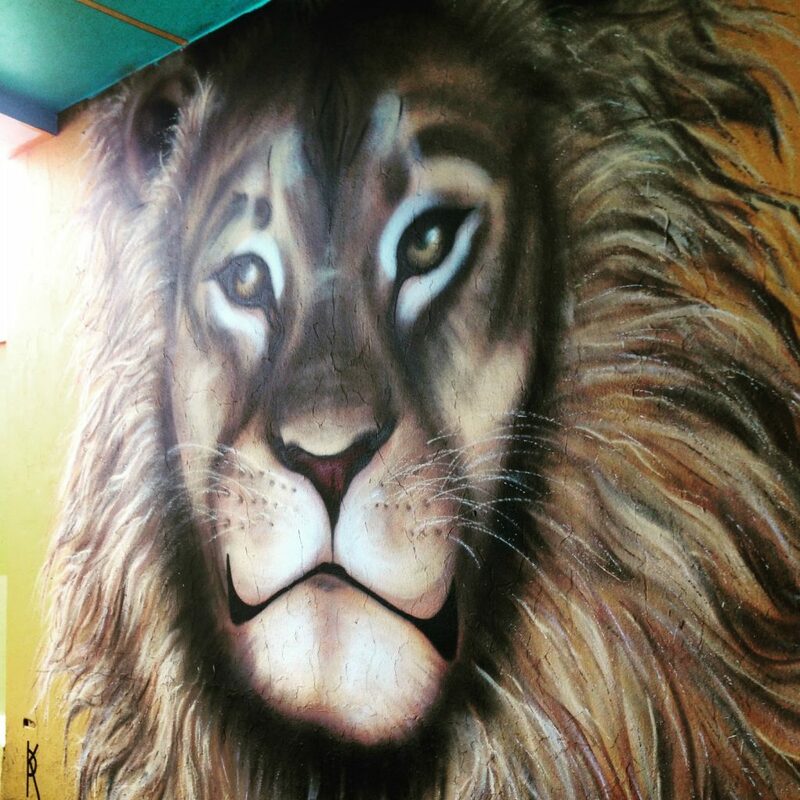 Cecil the Lion street art in Reykjavik, Iceland? Strictly speaking, graffiti of any form on any public property such as public buildings, benches and lampposts is considered vandalism and is a punishable offence. However, street art is legal, with the consent of the owner of the building, whether that be public or private. Much of the street art is commissioned by organizations. In the autumn of 2015, for example, the Iceland Airwaves music festival saw international musicians collaborate with Urban Nation, the Berlin museum for urban contemporary art, to bring even more murals designed by local and international artists. Being an island stuck right out in the mid-Atlantic, naturally Iceland is popular for its seafood. You can expect to see items such as dried cod or haddock—almost a ‘fish jerky’ or (extremely!) salted cod, cod tongues (Gellus)—the fleshy triangular muscle above and under the tongue which, apparently, can either be served in a more appealing way as a gratin (with a cheesy sauce), or, the more adventurous of you might want to try it just boiled. You’ll notice popularity in cod dishes. If your culinary taste buds want to be stretched, you have the option of trying shark, whale blubber, fish stomach (almost like the Scottish haggis as it’s stuffed with liver and sometimes rye) and fishballs. If you’re somewhat squeamish and an animal lover, steer clear of minke whalemeat. As the Minke whale is not considered an endangered species, it is eaten—either raw or cooked. Apparently it’s a red meat and tastes similar to beef. I personally don’t think I’ll be trying that, purely on principle! If you’re a meat lover, you’re in for a treat in Iceland too, for it’s not just fish that they specialize in. 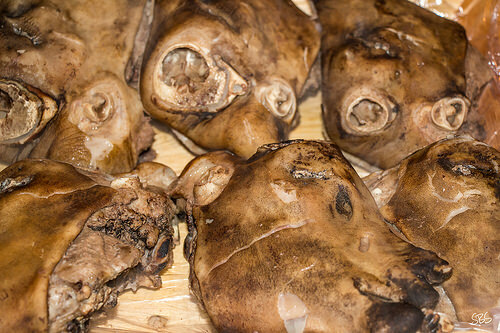 There are oddities such as Sheep’s Head. It tastes exactly like mutton (because, being from a sheep, that it what it is in essence), however in Iceland, the presentation somewhat throws people off trying it—literally a whole head; tongue, eyes, etc. still in tact. It’s a specialty, hence can be bought at any supermarket in the frozen food section, or pre-cooked in some groceries. Apparently, the most delicious part is the cheek and tongue. Having never tied it, I can’t comment. I was one of those people put off seeing a whole head of an animal in front of me! Or how about Sour Ram’s Testicles? Not so much a common meat nowadays, in the past Iceland used to be a relatively poor country, so people would make use of all the animal, including eating all of it. It was preserved in order to keep for longer, hence the ‘sour’ part. 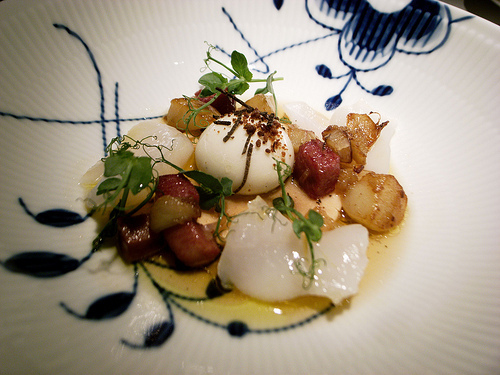 Read more about alternative Icelandic cuisine. Have I tempted you to visit Iceland, what with its dramatic scenery, excursions, cuisine and basically, a country far removed from any you’ll ever visit. 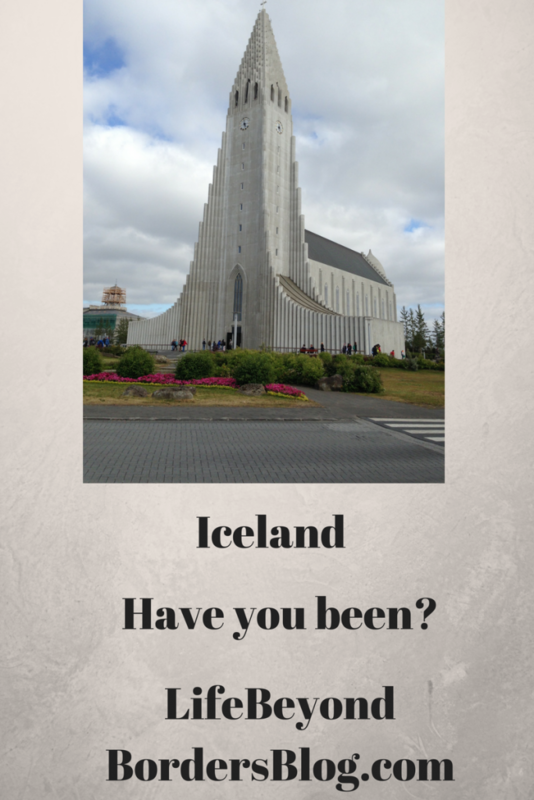 Have you visited Iceland? Do leave your comments. Hi Rebecca. I’ve not yet been to Iceland, but it;’s on my mind daily, as I live just 20 minutes from Gimli, a small town in Manitoba, Canada, that has a huge Icelandic settlement and the annual Icelandic Festival where Vikings are certainly celebrated! Thx for the great post. Only places in Manitoba I’ve been to are Winnipeg, then a three day VIA Rail trip to Churchill! Maybe one day I must come and visit you to write about your area. I bet it’s not so touristy? I’ve been to Iceland twice and it’s one of my favorite countries. The last time I was there (February) I started to see more street art than the prior time and I enjoyed most of it. I confess to having tried Minke Whale on my first visit and suffice it to say that I will never repeat that experiment. Ha! I didn’t brave Mike whale, merely because I love whales and I felt like it would be wrong to. At least you tried it! Yes, Iceland is certainly different. The more I read about Iceland, the more determined I am to get there in the next few years. That church is intense! And I do want to try all those weird food specialties. And I’d like to take the time to travel all around the island! Yes Rachel, alas I was not brave enough to try the food. 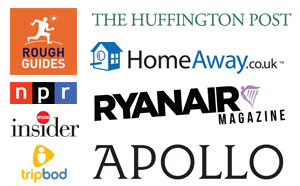 All the magnificent tours on offer look great though. It’s been on my bucket list for awhile, now I just need to commit and go! Great post. The great thing about Iceland is that it’s really well located: not far from Europe, not far from the U.S.
Every time I see something about Iceland I get crazy about going. Have to make it there soon! Tried Cod Tongue in Newfoundland, wasn’t a huge fan, but at least it was fried. Did you hear about putrefied shark? Ugh, no! Hmm, I can see that when I go back to Iceland (one day), I shall have to stick to plain old fish ‘n’ chips! I am adventurous, but not THAT adventurous! I really want to go to Iceland. More for the troll rocks and other geological wonders than the food though! Yes, the petrified beach and geysers, not forgetting the Northern Lights, makes Iceland a really attractive choice. I’ve never been to Iceland, but it looks amazing from your blog post. Going to add it to my “travel” list for my life after 50. Iceland’s great for any age group! One of my favorite things in Iceland was soaking in the Blue Lagoon. A MUST! 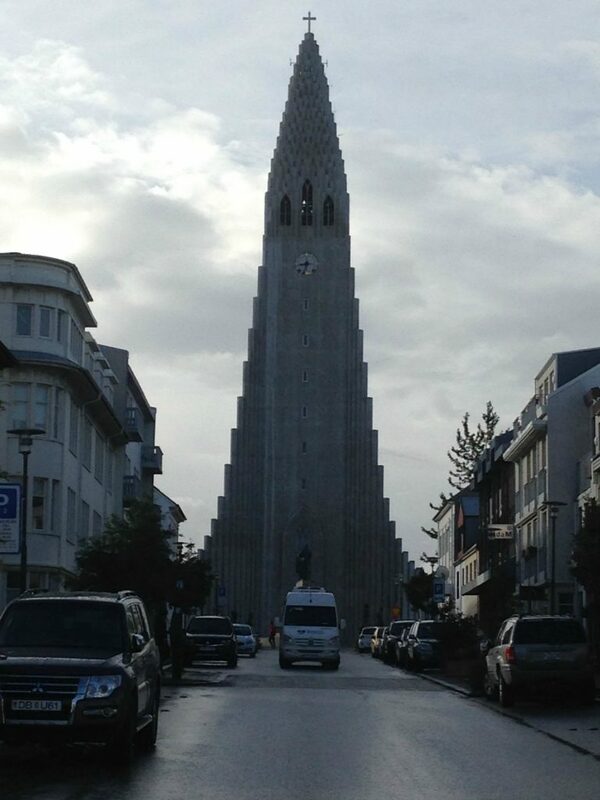 That church is one amazing structure!